Are you an organisation with 25 or more employees? Would you like to reduce your expenditure on permanent agency fees? Would you like to improve your induction and on boarding processes to reduce your staff turnover levels? Would you like to build better internal data to become aware of prospective employees before your hiring needs arise? Would you like to ensure that your recruitment advertisements and communications are in line with up to date legislation? Then look no further, here at Edo Ltd, you can access the Level 3 Certificate in Internal Recruitment Practice (QCF) for employees responsible for your internal recruitment! This entry was posted in Recruitment, Training on May 29, 2015 by edo. Can you tell the difference between a trainee and an apprentice? An A Level superstar with the gift of the gab from a graduate? We recently spoke to the manager of a recruitment agency who had an advert posted online for a trainee recruitment consultant. Having recruited for a similar sized agency locally who took on an apprentice and having a pool of excellent pre-screened candidates available , we did the logical thing and ‘specked in’ our awesome candidates. We were met with the unexpected. This entry was posted in Apprenticeship, Recruitment, Training and tagged apprentice, recruitment, recruitment apprentice, recruitment qualifications, trainee on March 3, 2014 by admin. 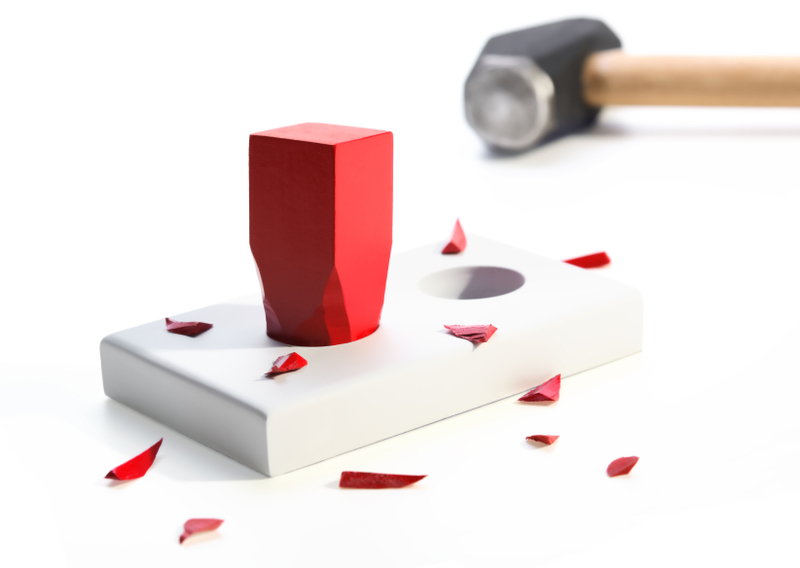 It’s an old analogy, we know, but every day we speak with recruitment agencies that are fitting square pegs in round holes. 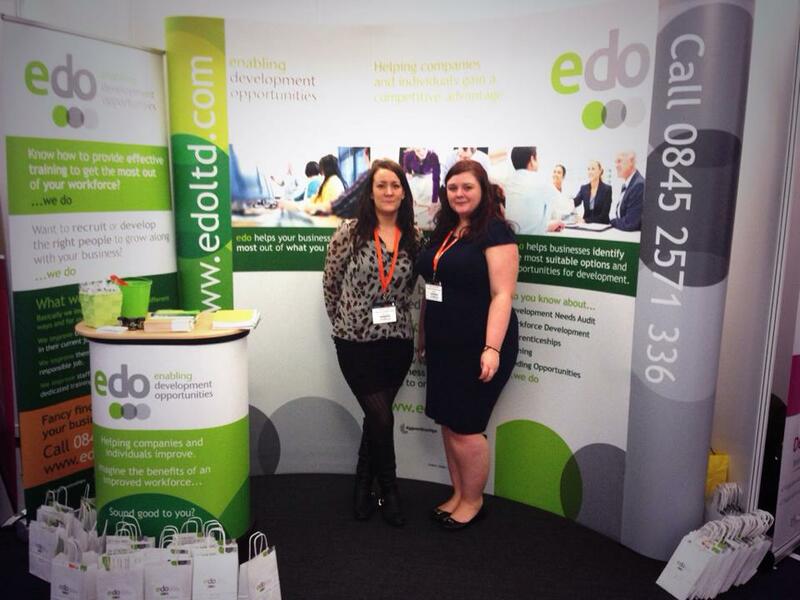 edo exhibited last week at the Recruitment Agency Expo in London and spoke to lots of companies about their training needs. This entry was posted in Apprenticeship, Events, Recruitment and tagged recruitment agency expo, recruitment apprentices, recruitment qualifications on March 3, 2014 by admin. While talking to London based and regional recruitment companies at the Recruitment Agency Expo yesterday, we were surprised to find that many of those we spoke to used the word ‘trainee’ rather than ‘apprentice’. Most hadn’t considered, or were not aware of the advantage of taking on a recruitment apprentice rather than advertising to recruit a trainee until they spoke to us. We really enjoyed meeting and talking to recruitment agencies about the benefits of apprentices over trainees, and in particular our search and selection service and our unique dual recruitment qualification apprenticeships. We’re looking forward to another busy day at the Recruitment Agency Expo today! If you’re at the Recruitment Agency Expo today, pop by stand 154 and talk to us about the benefits of apprentices over trainees. If you can’t make the expo, give our recruitment team a call on 0203 538 3134 or head office on 0845 2571 336. This entry was posted in Apprenticeship, Events, Recruitment and tagged events, london recruitment agency expo, recruitment apprenticeships, recruitment expo on February 26, 2014 by admin. An important part of our service at edo is finding businesses their perfect apprentice / trainee. We understand that each business is different and has different requirements so just any apprentice won’t do. We would never try to fit a square peg in a round hole, which is why we put time and effort into finding the right apprentice for your business. This is a free service we offer to all of our clients who are looking to expand their team by taking on an apprentice / trainee. On Tuesday 25th and Wednesday 26th February we will be exhibiting at the Recruitment Agency Expo in London, on stand 154, talking to recruitment businesses about how apprentices can benefit their business. If you’re visiting the Recruitment Agency Expo come and talk to us about our dual recruitment qualifications and how we can find the right person for your business. Can’t make it? If you can’t make it to the expo, call our team on 0203 538 3134 to find out more about our apprentice / trainee service. This entry was posted in Apprenticeship, Events, Recruitment and tagged apprentices, events, recruitment, recruitment qualifications, trainees on February 24, 2014 by admin. On the 25th and 26th of February we’re attending the Recruitment Agency Expo in London and here are six reasons why you should be going too! There are free seminars running on both days, where you can hear from industry experts about hot topics in recruitment, new products, opportunities to grow your business and more. We know it can be hard to keep up with everything that happens in the industry when you’re so busy helping your clients, so the Expo is a great opportunity for you to catch up. This entry was posted in Apprenticeship, Events, Recruitment and tagged events, recruitment, recruitment agency expo, recruitment qualifications on February 21, 2014 by admin. We will be attending the Recruitment Agency Expo at the Olympia Exhibition and Conference Centre on the 25th and 26th February. You can find us on stand 154 by the seminar rooms and we will be talking to recruitment agencies about how our recruitment qualifications and apprentices’ can help to grow their business. If you’re a London based recruitment agency, or you’re planning on travelling to the event, make sure to pop by our stand to find out more about developing your business and taking on an apprentice. We offer dual recruitment qualifications which means apprentices can pair a recruitment qualification with one in sales/telesales, social media or management. Dual qualifications allow learners to gain more knowledge and two qualifications without the extra work and it gives the employer a more knowledgeable member of staff who can really benefit their business. We will be at the Recruitment Agency Expo on both the Tuesday and the Wednesday. If you’d like to arrange a meeting with us call us on 0203 538 3134 or visit our Exhibitor Page and click ‘arrange a meeting’. Can’t make it? If you can’t make it, don’t worry you don’t have to miss out, give us a call and talk to our team who can tell you all you need to know about recruitment qualifications and taking on an apprentice. 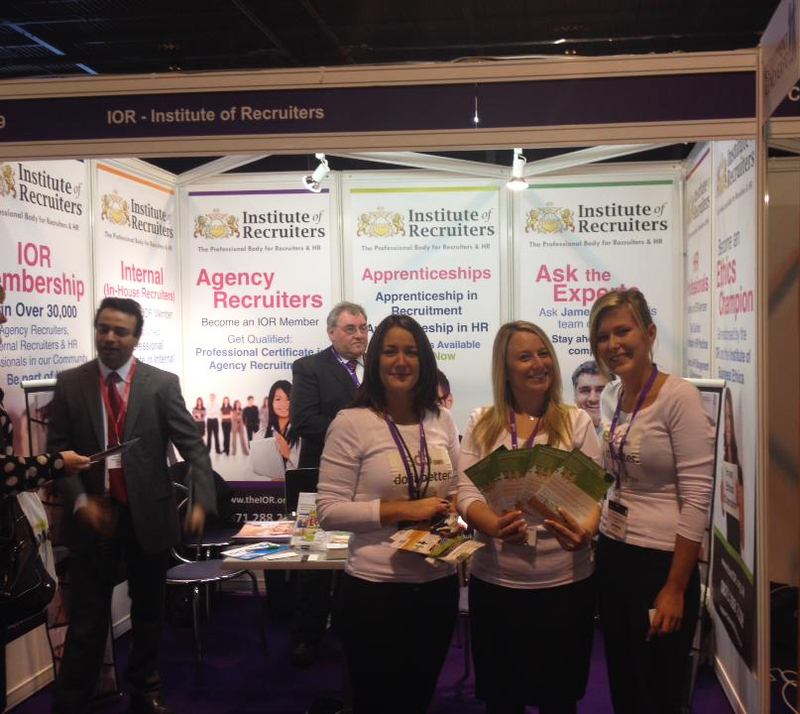 Do you remember us from the Recruitment Agency Expo in Birmingham last October? We had such a good time , take a look at our blog post from the event and see a couple of our photos. We’re really looking forward to the expo and we can’t wait to see you there! This entry was posted in Apprenticeship, Events, Recruitment and tagged events, Homepage, recruitment agency expo, recruitment apprenticeships on February 19, 2014 by admin. Since our rebrand earlier this year we’ve been busy dealing with apprenticeship applications and signing up new businesses to our apprenticeship programmes. The phone hasn’t stopped ringing! As a result the edo team has grown rapidly and our client and candidate liaison team have moved into their own office as we’ve run out of space in our main office. They’re still in the same building as us (so we can steal their biscuits) and having their own space will help them become even more productive and help them focus on generating new business for us. Their job is to talk to businesses interested in taking on an apprentice and screen candidates free of charge before a business interviews. It’s exciting to take a minute and look at how much edo has changed and grown this year. If you’re a business owner who is thinking about taking on an apprentice, keep our client and candidate liaison team busy and get in touch to find out how we can help you. Call us on 01543 458 580 or fill in our online contact form if you’d prefer. This entry was posted in Uncategorized and tagged edo on November 20, 2013 by admin. Recruitment Agency Expo – We’re going back for more! We had so much fun at day one of the Recruitment Agency Expo that we’re going back again for day two! This entry was posted in Events, Recruitment and tagged events, recruitment, recruitment companies, recruitment qualifications on October 3, 2013 by admin. Visit edo at the Recruitment Agency Expo! Today we’re at the Recruitment Agency Expo at the NEC in Birmingham on the Institute of Recruiters stand (F22) talking to recruitment companies about our new dual pathways. Drawing on 20 years experience in recruitment, we developed three dual pathways which allows learners to combine a recruitment qualification with a sales/telesales, management or social media qualification. This entry was posted in Recruitment and tagged dual frameworks, recruitment, recruitment companies, recruitment qualifications on October 2, 2013 by admin.